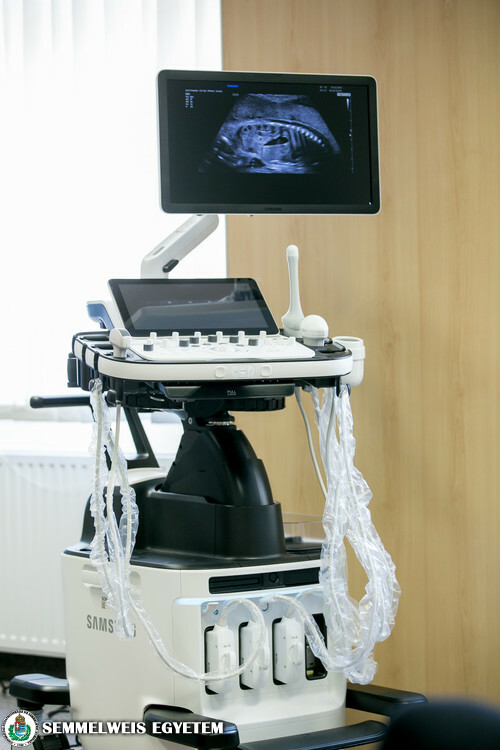 Semmelweis University is the first institution in Hungary to receive the newest-generation ultrasound machine that can make more precise diagnoses than ever, with the equipment presented to the Üllői út division of the Department of Obstetrics and Gynecology. The machine, worth HUF 60 million, will help in the treatment of thousands of patients a year, and will be used primarily for diagnosing endometriosis and abnormalities in fetal development, but it will also play an important role in research and practice-oriented education. 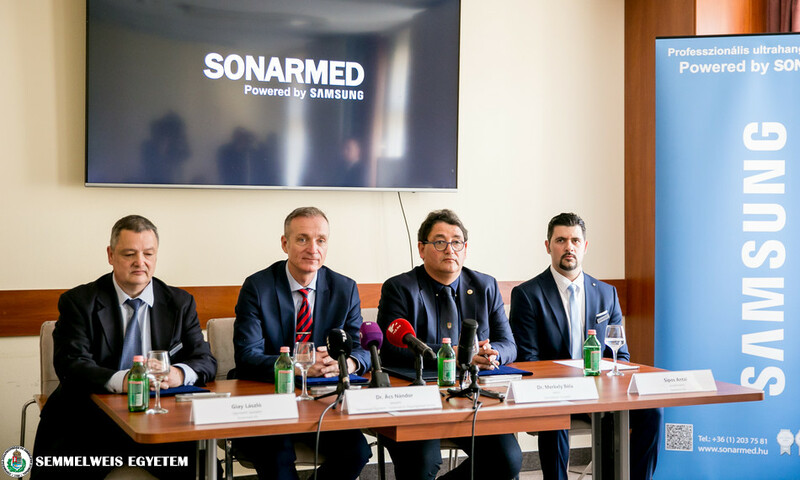 The equipment is being provided by Sonarmed Kft, the official licensed trader of Samsung in Hungary, free of charge to the Department of Obstetrics and Gynecology. 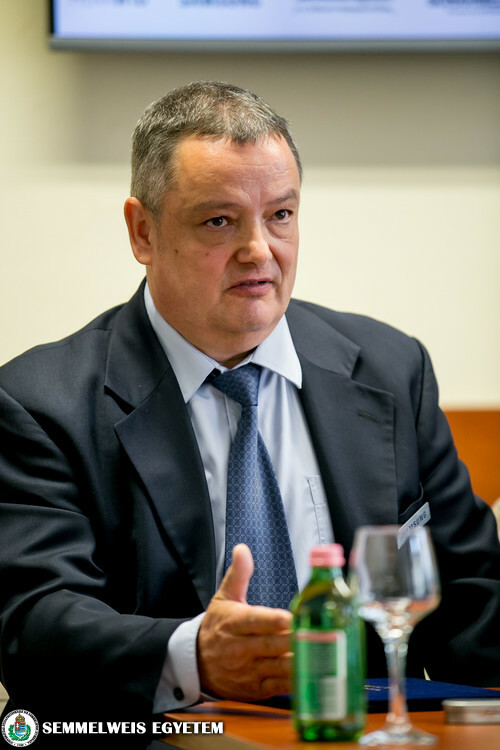 “It is always a joyous day when we can introduce such cutting-edge technology into our everyday practice of teaching, research and health care,” said rector Dr. Béla Merkely at a press conference on the occasion of the machine’s acceptance. 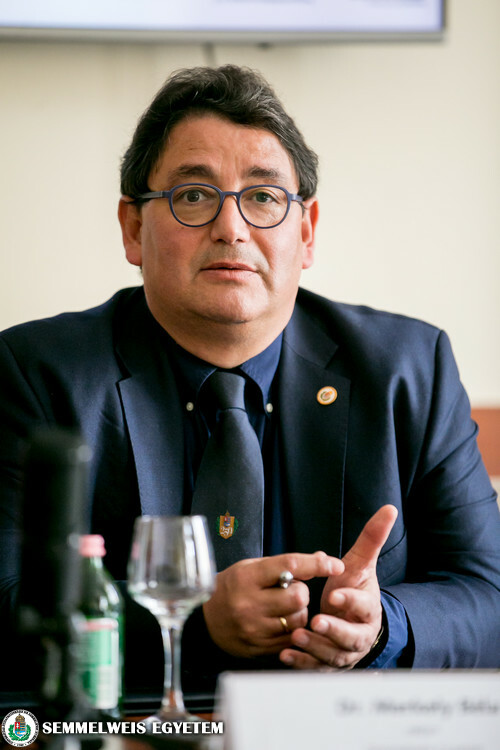 He reminded that it is the goal of Semmelweis University, which will soon celebrate its 250th anniversary, to train the best doctors and health care professionals, which requires having the right infrastructure and tools, as well as excellent-quality workers. The rector noted that the university’s ambitious goal is to be among the 100 best universities in the world by 2030. 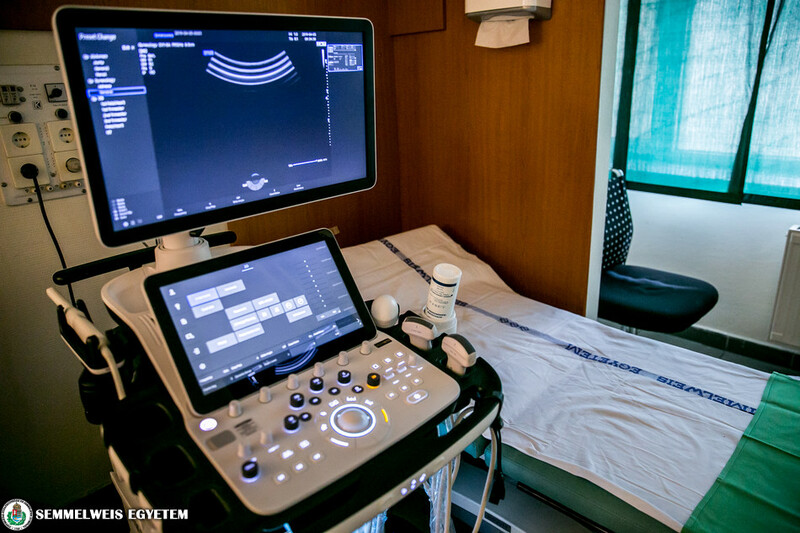 The newly inaugurated, high-performance ultrasound machine will play an important role in graduate and postgraduate education as well, in addition to patient care, but it will also have an effect on research and innovation. 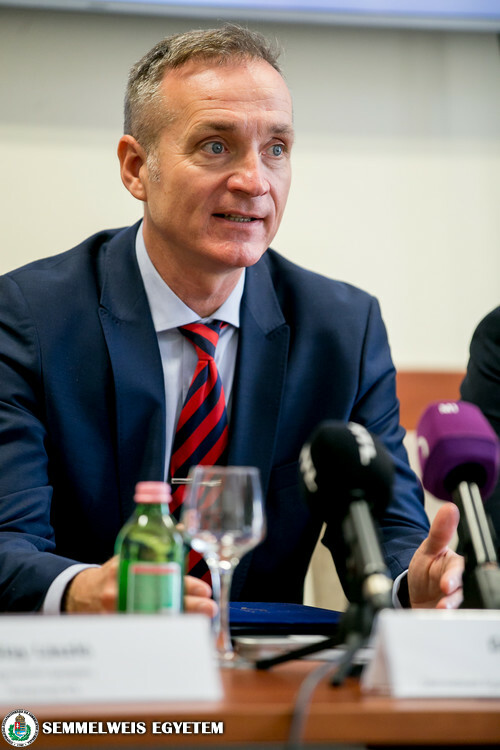 The strategic agreement signed with Samsung, through Sonarmed Kft, makes it possible for Semmelweis University, through the knowledge gained here, to contribute to the further development of similar machines, Dr. Béla Merkely noted. 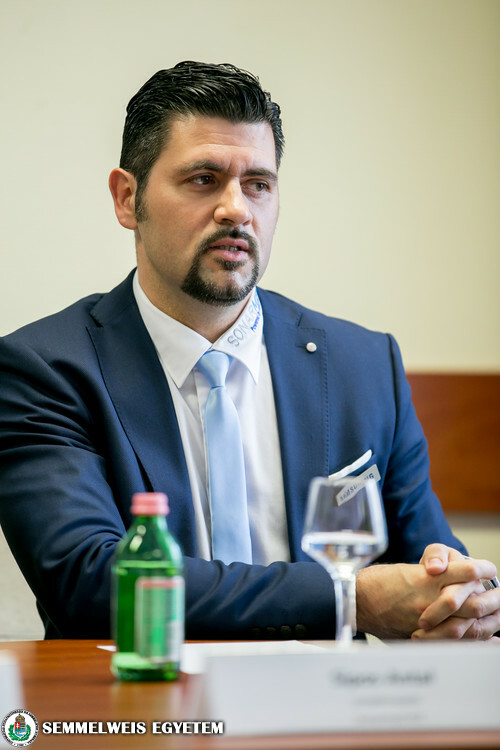 Dr. Nándor Ács, the director of the Department of Obstetrics and Gynecology, said that the machine, which is a novelty on a world level, will be used in the clinical treatment of pregnant women and in fetal diagnostics, and also in diagnosing certain gynecological illnesses (e.g. tumoral diseases, severe cases of endometriosis). 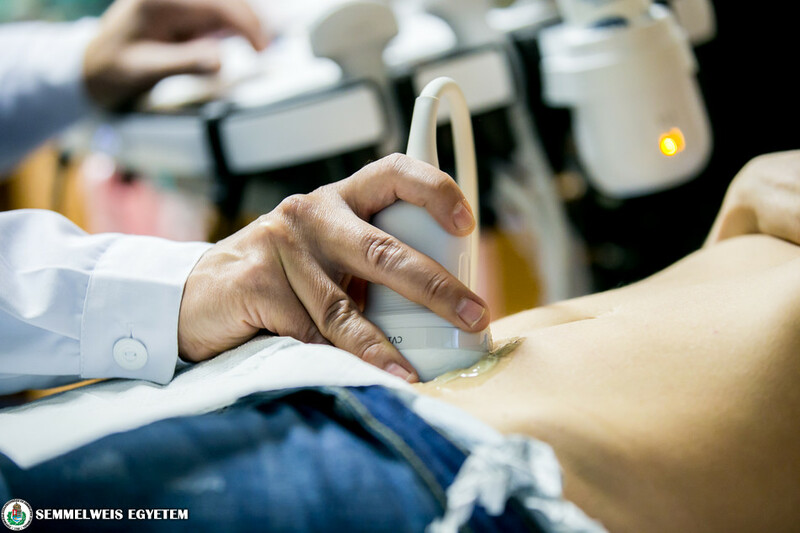 The new machine provides faster and more precise diagnoses than even the current modern ultrasound, he added. He emphasized that the new technology represents a leap in the quality of education as well, as it will aid the practice-oriented education of 400–500, mostly fifth and sixth-year medical students. It also makes possible such high-quality imaging that it may serve as the basis of scientific research projects. The machine put into use at the department is among the first five of its kind to be installed worldwide. 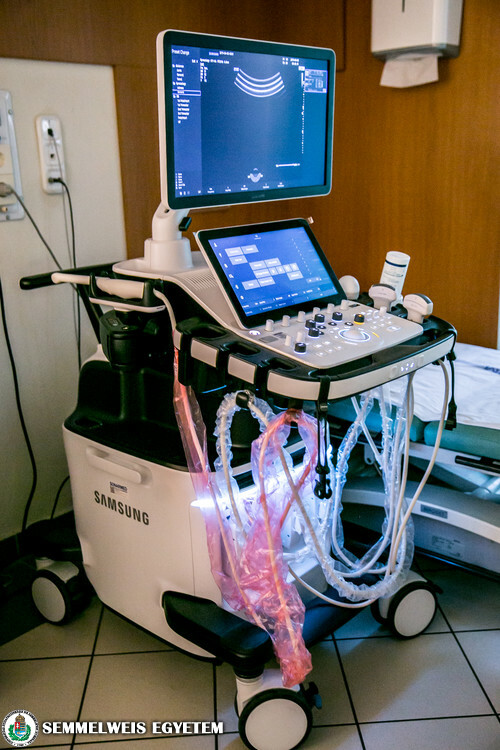 The machine is being provided to the Department of Obstetrics and Gynecology free of charge by Sonarmed Kft, Samsung’s officially licensed Hungarian partner, in the form of a long-term placement that will be renewed periodically. 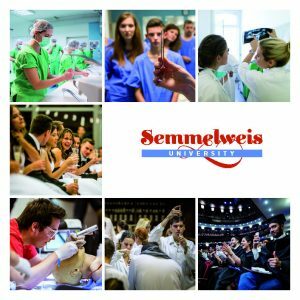 László Giay, the managing director of Sonarmed Kft, noted that they selected Semmelweis University as a partner because of its historical tradition, high-quality professional staff, its development plans and rising number of students. 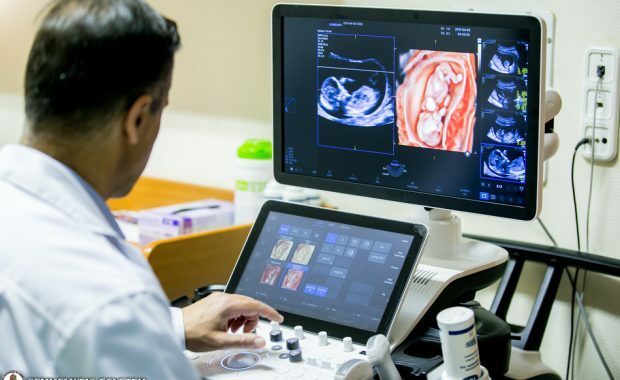 Antal Sipos, the project director of Sonarmed Kft, stressed that the ultrasound machine in question is the flagship product of Samsung Healthcare, and it is a very new technology that was rolled out at the end of last year at an international obstetrics and gynecology conference. Compared to the previous ultrasound, which was also in the high-quality diagnostics category, the new machine is three times faster in terms of its memory, and ten-eleven times faster in terms of its signal processing capability, allowing it to make such detailed images that doctors can recognize even the slightest abnormalities. 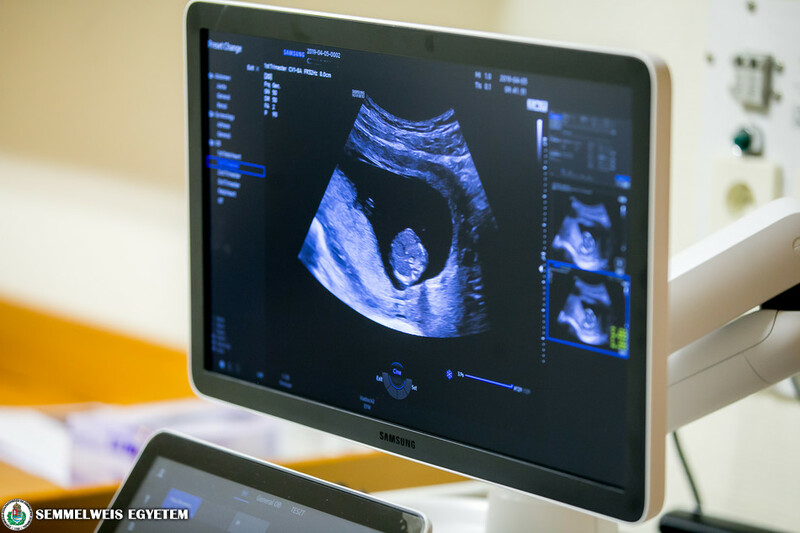 The ultrasound will also be of great help in diagnosing abnormalities in the first and second trimesters. 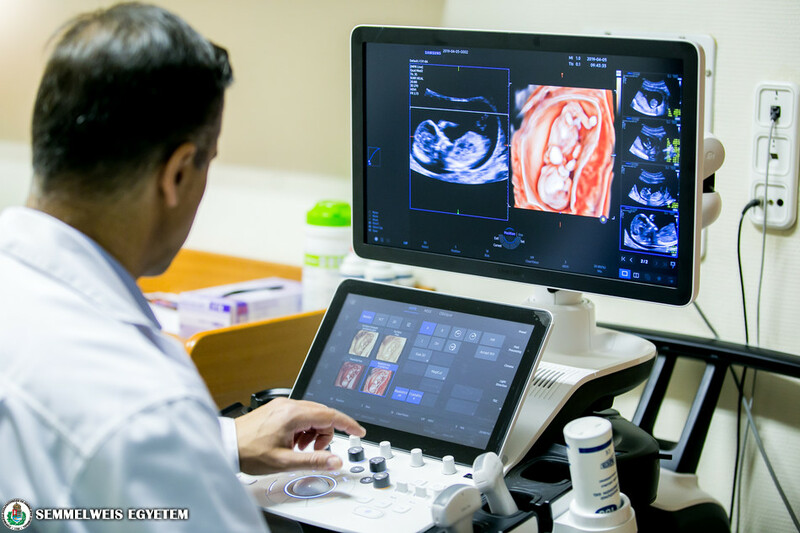 Each year, some 12,000 ultrasounds are performed at Semmelweis University’s Department of Obstetrics and Gynecology, as the region’s largest OB/GYN care provider, with on average more than 4,000 pregnant women and 250 endometriosis patients visiting the clinic.